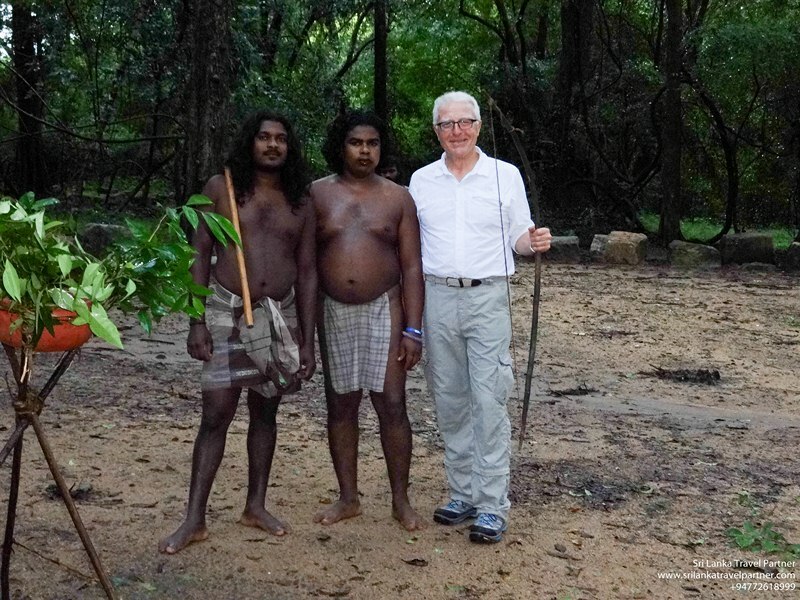 Sri Lanka’s Aborigines’, or the Veddha’s meaning “people of the forest” of Sri Lanka has a history much older than prince Vijaya’s landing in 5th century BC and the origins of the Sinhala race. Archaeological evidence suggest that modern Veddha’s Neolithic ancestors inhabited this island as far back as 10,000 BC with. Once roaming the Great Plains’ of the north central region to the central mountains, today the remaining Veddha population are confined to Dambana which is close to Maduru oya sanctuary. They are essentially hunter gatherer forest dwellers without much change in their life style from Stone Age to modern times. 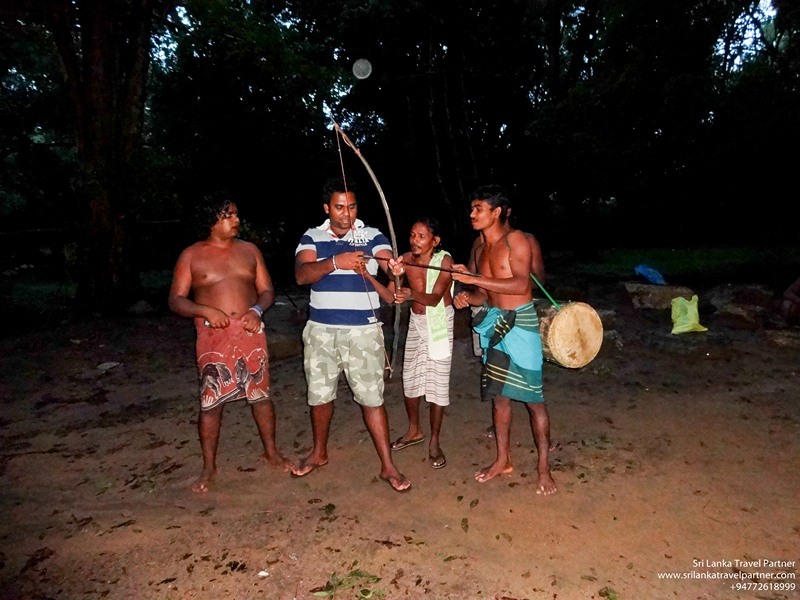 The language used by them is an ancient dialect of Sinhala, staple diet being venison, Veddha’s are allowed to hunt legally to sustain themselves within certain areas, are also expert fisherman. 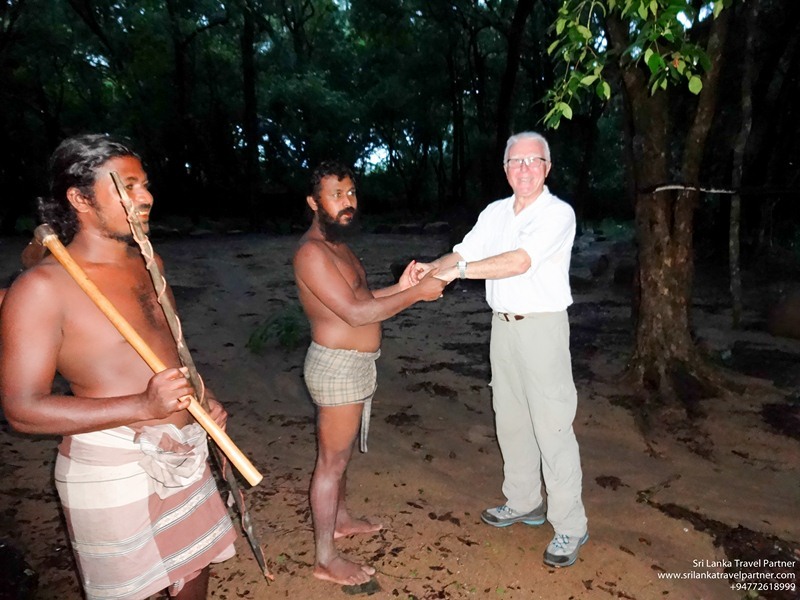 Veddha’s also collect bee’s honey and exchange it with the locals for axe blades and cloth. Today, the Veddha’s are more modernised as far as at least the cloths are concerned and perfect way to observe Veddha is to organise a camp close to or within a reservation and Veddha’s will be more than glad to show you their ways of life, with an axe hanging from their shoulders and a bow slung behind them, gives you the impression nothing much has changed since the dawn of time for these proud warriors of the forest. 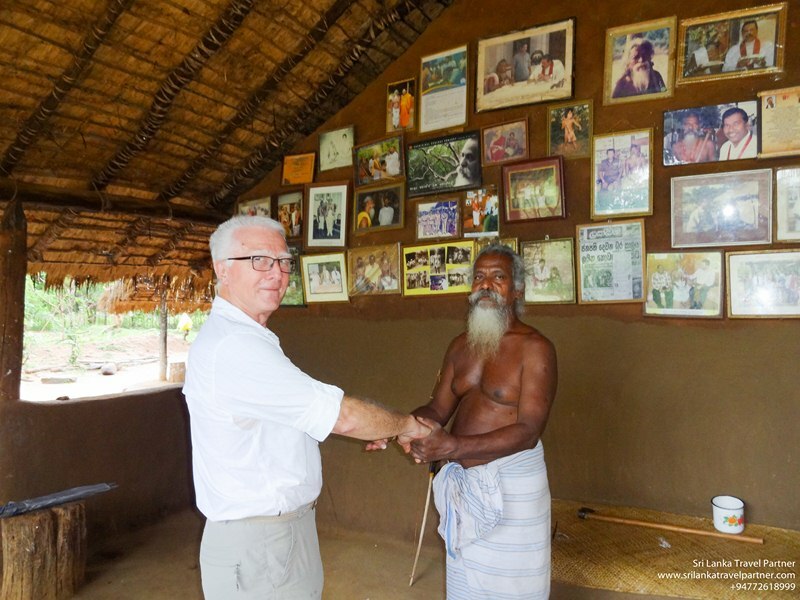 Today, the Veddha’s confined to a reserve in the district of Monaragala and are more contemporary as far as at least the cloths and commerce are concerned. A perfect place to observe Veddha is their last remaining village of Dambana and organise a camp close to or within the reservation and Veddha’s will be more than glad to show you their ways of life, with an axe hanging from their shoulders and a bow slung behind them, gives you the impression nothing much has changed since the dawn of time for these proud warriors of the forest.